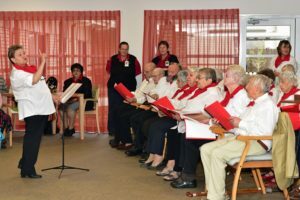 Beauaraba Living is a 106-bed, award winning, aged care home located 35 minutes south west of Toowoomba, on the edge of the Great Dividing Range. At home in the rural community of Pittsworth, the home offers a warmth and friendliness reflective of rural Australia and a strong community. The vibrant town of Pittsworth offers three banks, two supermarkets, cafes, pubs and clubs, retail stores, Churches, gyms and many amenities nearby. Beauaraba Living is also neighboured by the Pittsworth Bowls Club and has an onsite medical centre, operated by Platinum Health Group and an independently operated hairdresser that opens every Thursday, with many other allied health providers utilising the facilities as well. 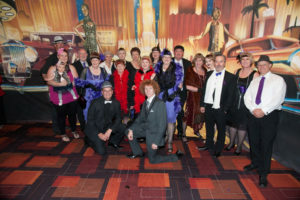 Staff welcome the opportunity to assist residents and their families in organising bookings. Operating as a community-owned facility, Beauaraba Living offers some of the most innovative and high quality, country-styled living to welcome residents and their families when an alternative to home-living is required. 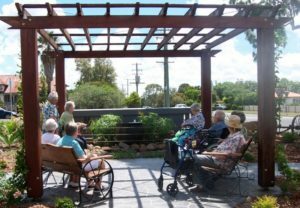 Originally operated as the The Pittsworth & District Hospital Friendly Society Limited, essentially a rural hospital, Beauaraba Living now focuses solely on care for the aged, by providing the best, most innovative care, being the first facility in Queensland to run the ‘Montessori for Dementia’ program and one of only 72 facilities across Australia to be accredited for the “Music and Memories’ program. Click here to view our Vision, Mission & Values.